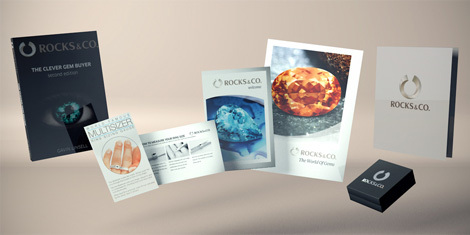 Precious metals | Gemstone information at Rocks & Co.
Back Home Gemstone Information Precious metals | Gemstone information at Rocks & Co.
"Gold! gold! gold! gold! Bright and yellow, hard and cold." While gold remains the pre-eminent jewellery metal, there are numerous other choices available, such as brass, copper, palladium, platinum, silver, stainless steel, titanium, and tungsten. Gold, silver, platinum, and other precious metals are traditionally weighed and traded in troy ounces. Weighing 31.10 grammes, a troy ounce is about 10 percent heavier than the avoirdupois ounce used in cooking. Nowadays, metric units are also used to weigh precious metals, but there are no signs of the metric system replacing the troy ounce in the near future. Gold's atomic number is 79 and its chemical symbol is 'Au', from the Latin name for gold, 'aurum'. Our modern word for this metal is derived from the Old English for yellow, 'geolo'. As a rare metallic element of high economic value, gold has long been regarded as the most precious of precious metals. While some sources date its discovery to circa 3000 BC, it is possible that the first gold nuggets were mined in the Transylvanian Alps as early as 6000 BC! Since then, it has become a potent symbol of wealth and social status. For thousands of years, gold has been valued as a global currency, a commodity, an investment and an object of beauty. Bestowed upon people and used in worship, gold has forged civilisations and inspired legends. Gold's rich lustre and unique texture assures its place in jewellery, yet as a hard global currency, gold's economic importance is unquestioned. Gold is a precious metal with intrinsic value. From dinky pawnshops to the venerable London Gold Exchange, enormous amounts of gold changes hands every day. Gold pricing is always based on its purity and weight. While gold reserves stopped being the basis of world monetary systems in the early 1900s, a large proportion of the world's gold continues to be held in government reserves. Today, gold is used as an effective hedge against fluctuations in the United States Dollar (USD), the world's main trading currency. 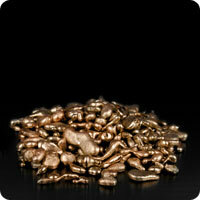 Gold is mined from the crust of the earth and copper ores, and its leading world producer is South Africa. Since the break-up of the former Soviet Union in 1991, the U.S.A. has become the second largest gold-producing nation, followed by Australia, Canada, China, Russia, Peru and Indonesia. 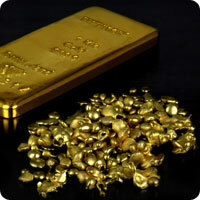 Amazingly strong, gold is also the most malleable of all precious metals. Forever glimmering and glittering, pure gold never tarnishes or corrodes. Even though about 75 percent of the gold produced goes into jewellery and watch production, pure gold is too soft for most ornamental applications. This characteristic of pure gold has resulted in it being alloyed with other metals to improve its durability. The international measure of gold fineness or purity is 'karat', which is typically abbreviated 'K'. This should not be confused with 'carat', the unit of weight in gemstones. Gold's different colours are produced by simply varying the alloy metals. The three most popular colours are yellow, white and rose. Yellow Gold:Alloyed with silver and copper to display its timeless colour, yellow is gold's most common colour. White Gold: A popular modern alternative to yellow gold, white gold is created by bleaching pure yellow gold white. While 9K, 10K and 14K white gold is bleached white using silver, because of its higher purity (75 percent), 18K gold requires a stronger bleaching agent, such as palladium (Pd), a precious platinum group metal. 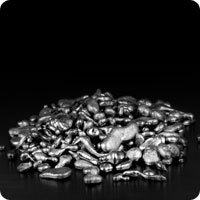 Though nickel (Ni) can be used to alloy 18K white gold, this should be avoided as its release can cause allergic reactions. Providing a hard, shiny, unmatched finish, rhodium (Rh) electroplating has become the international industry standard for nickel-free white gold alloys. Rhodium was discovered by William Wollaston in 1803. Approximately three times more expensive than platinum, rhodium is the most expensive platinum group precious metal. Rose Gold: Rose gold, also known as pink gold or Russian gold (this gold colour has been popular in Russia since the beginning of the 19th century), is alloyed with copper. Typically a striking pinkish rose colour, the higher the copper content, the stronger the red colouration. Interestingly, rose gold is increasingly used in men's horology (very expensive watches). Gold filled, also known as gold overlay, is a gold layer bonded to a support metal that constitutes 5-10 percent of the total weight of the item. Rolled gold plate is a variety of gold filled, where the gold layer bonded to a support metal is less than 5 percent of the total weight of the item. 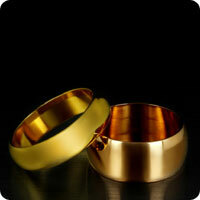 Gold plated is a thin plating of gold bonded to the support metal. Items that are gold plated contain less gold than those that are gold filled. Electroplating, also known as gold flashed or gold washed, is an electrical process that affixes gold, a gold alloy or another precious metal to a support metal with a minimum thickness of 0.175 microns. Heavy gold electroplating is when the minimum thickness is 2.5 microns. Items made entirely of gold can be electroplated (e.g. the rhodium electroplating of white gold). Vermeil, pronounced 'ver-may', is typically sterling silver covered with a layer of gold plate. Deriving its name from the French word for 'veneer', the original fire-guilding vermeil process developed in 18th century France has been replaced by electrolysis. Also known as onlay, double or silver gilt, in vermeil the gold must also be at least 10K and have a minimum thickness of 1.5 microns. Gold leaf is ultra thin pounded gold. Pure gold leaf has a long tradition in European cuisine, where exotic dishes are given the ultimate edible presentation. Mined from ores such as argentite, silver's history dates back more than 5,000 years. A popular and affordable choice for jewellery, silver has been used by virtually every civilisation. Silver is also used to craft 'objets d'art', such as silverware (no surprise there) and hollowware (tableware, such as bowls, pitchers, teapots and trays that serve as containers or receptacles). The chemical symbol for silver 'Ag' is derived from the Latin word for silver, 'argentum'. Our modern name for silver comes from the Old English word 'seolfor'. Relatively malleable, pure silver is softer than gold or platinum. As with gold, silver is typically alloyed with secondary metals such as copper for strength. 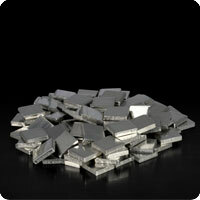 Similar to platinum, silver purities are expressed as parts per thousand. 'Sterling' or '925' silver is 92.5 percent pure and the standard for high-quality silver jewellery. For every 1,000 parts in sterling silver, 75 of them (7.5 percent) is an alloy. Another commonly seen silver purity is 'Britannia' or '958' silver, which is 95.8 percent pure. 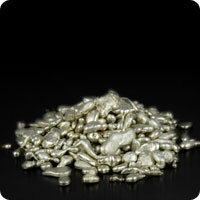 Gold might be regarded as the most precious of metals, but did you know that platinum (Pt) is 60 times rarer? Platinum is also purer, stronger and denser than gold. A natural white metal, platinum's durability makes it extremely wearable. Platinum is also hypoallergenic, meaning it has a decreased tendency to provoke an allergic reaction. Discovered in 1735 by Julius Scaliger, platinum is derived from the Spanish 'platina', which means 'little silver'. While only 'officially' discovered in the 18th century, it has appeared throughout history, but not always as a unique metal. Platinum's Spanish name is likely in reference to sightings by conquistadors, who thought its small silver-coloured nuggets were undeveloped silver that had not fully matured. While it's tempting to think of platinum as a relatively new jewellery metal, this is actually incorrect. Platinum was a big hit with the Sun King, France's Louis XIV, who declared it to be the only metal fit for kings. From the turn of the 20th century until 1940, platinum was actually the preferred precious metal for U.S. manufactured jewellery. Declared a strategic metal during WWII, platinum never regained its previous popularity. Platinum purity is measured in parts per thousand. The most common platinum purities are 950 (95 percent pure platinum), 900 (90 percent pure platinum) and 850 (85 percent pure platinum).